We need to begin our post-Nicene section with the time around the Council of Nicea because it changed the course of the history of Christianity. It began with the Great Persecution in A.D. 303. 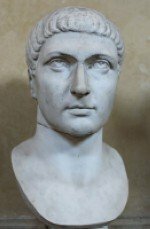 The Great Persecution came to an end in A.D. 311 with the Edict of Milan, and then Constantine rose to power with the defeat of Maximian in 312. I like to call the beginning of the post-Nicene period "the Great Judo Throw." In Judo, a throw is performed by first pushing your opponent, which causes him to push back. When he pushes back, you use his momentum to provide the force to throw him. The Great Persecution was the push, and Constantine performed the pull and throw. Though I am sure Constantine had no ill intentions, he was used by satan to bring about the fall of the Church. There are a lot of myths about Constantine and the Council of Nicea. The Council of Nicea, however, made only one major change to post-Nicene Christianity. It got the emperor involved in the government of the Church, and the Church involved in government. Constantine did not become a Christian until he was on his deathbed in 337, but he showed great favor to Christians even while he was the official leader of Roman paganism. As a result, whereas perhaps only 10% of Romans were Christians during the Great Persecution, that number skyrocketed to 90% by the end of Constantine's reign. The result was the post-Nicene Church was full of unconverted pagans; the change was so dramatic that it can't be overstated. The evidence I constantly cite for this change is the difference between Eusebius' Ecclesiastical History, covering the history of Christianity from the apostles through A.D. 323, and Socrates Scholasticus' Ecclesiastical History, which takes up where Eusebius left off and covers most of our post-Nicene era. Eusebius' history is what you would expect in a history of Christianity. It describes great men of God, some doctrinal disputes, the bravery of Christians under persecution, and some heresies that arose. I have been told repeatedly by someone I trust that ante-Nicene bishops were not paid. They were supported like widows and orphans. I've seen some indications in the early Christian writings that this is true; however, there are indications in the New Testament that church leaders were paid. 1 Peter 5:2 warns elders not to be greedy for gain, and 1 Timothy 5:18 may not be talking about money when it says "double honor," but the context makes it seem like Paul's talking about money. "Honor" in 1 Tim. 5:18, the Greek word time, can and usually does refer to a monetary price set on something. In the post-Nicene era, under Constantine, bishops were paid, and they were paid by the government, a strong source of corruption. The office of bishop became a powerful political office after the time of Constantine. Before the Great Persecution leaders of the churches were not even paid. They were provided their basic needs along with the widows and orphans. After Constantine, they were on government salary, and such offices were often filled by corrupt and ambitious men. The Arian controversy is really the least notable part of the Nicene era. Though I thoroughly cover this controversy in the section on the Council of Nicea, I'll give you a brief description here. Arius was an elder in the church in Alexandria, one of the larger and more notable of the early churches. He believed that Jesus, though a God, was created in the beginning by God in the same way all other creatures were, from nothing. The early churches didn't have a problem with the idea of Jesus being created. They disliked the idea that he was created from nothing rather than formed from the substance of God. The Council of Nicea met in A.D. 325 to resolve this dispute, but it was really resolved in advance. The tradition of the apostles was clear, and there was no way for a council of all bishops to agree with Arius. They censured him, and Constantine banned him from the empire (temporarily). The Council of Nicea was held as much to hold the Roman empire together as it was to hold the Church together. So many Romans had become Christians under Constantine that a Church split could easily become a split in the empire. Constantine would have none of that. He called the Council and, with the permission of the bishops, attended and presided over it. The canons of the Council of Nicea is certain proof, even without all the other proof, that there was no pope in ante-Nicene Christianity. How could the Roman bishop have authority over all other bishops if the bishop of Alexandria had authority over all Egypt, the bishop of Antioch had authority over all Greece, and "the like was customary" for the bishop of Rome? The Council of Nicea did put their stamp upon some church hierarchy for the post-Nicene period. They acknowledged the authority of the bishop of Alexandria over all of Egypt and acknowledged the same authority in the bishops of Rome and Antioch. They established nothing, however. They simply agreed that the authority those three bishops already had was acceptable. Here we'll address the period from Nicea to the Council of Chalcedon in A.D. 451. Honestly, here we depart from my area of expertise for a thousand years. The sidebar is worth reading. You'll get an idea how history works. When you read primary sources, you get a feel for history that you cannot get by reading history books. Anyone can tell you that Justin Martyr wrote a defense of Christianity to the emperor in A.D. 155. Anyone can tell you what he covered and what his arguments are. However, unless they've read not only Justin's two Apologies, but also his other writings, they can't tell you what mattered to him. When I tell you that obeying Christ mattered more than doctrine to the early churches, I'm not just pulling quotes from their writings. I'm passing on the feel of their writings. What's the most important thing to tell you in Christian history? In the ante-Nicene churches, I can tell you what that is because I've read them enough to know what mattered to them. After Nicea, I have to tell you what other historians say. There's another word I want you to remember about history. That word is nuances. Nuances matter. That's those little things, maybe not big historical facts or doctrines, that made the writers who they were. Martin Luther has been the best example of that to me. I have read lots of secondhand sources about Martin Luther. Lots. Then I started reading Martin Luther. Who would have guessed from those history books that every time Martin Luther mentioned the evils of works salvation, he specifically mentioned "monkery," the doctrines and lives of monks? I didn't know that from history books, but I know it from Luther's own writings. It completely changed my view of Luther. Luther believed that a person who didn't deny himself and love was no Christian. Did you know that the great champion of sola fide, salvation by faith alone, believed that? So read this page. Learn the facts of the history of Christianity so that you have a timeline in your head. Then, however, get yourself some books. Get to know the men and women who make up church history. They have a lot to teach us. What I'm telling you from the post-Nicene period until the Reformation is true and accurate, but I got it all secondhand. I'm not a professional historian. I can only study history part-time. It's impossible for me to read 2,000 years of original sources, though I'd love to do that. I hope that in the previous sections you can feel my passion for early Christianity. I've read and re-read those authors, and I feel like I know those guys. I understand what was important to them because it comes across in their writings. So here is information—good and accurate information—on the post-Nicene period, but you'll get a feel from the books I recommend that I will not be able to reproduce. The post-Nicene era is most noted for its ecumenical councils. To most historians, this was the period when the Church settled the matter of who Jesus Christ was in relation to divinity, to the Father, and to his divine and human natures. However, I'm no fan of the councils. How could I be? I've told you already that many of the post-Nicene bishops were ambitious men who obtained their position out of a desire for power. Gathering a bunch of politicians with competing agendas is no way to decide Church policy or doctrine. I've also told you that the ante-Nicene churches had no overarching hierarchy. The churches were independent. I believe it should have stayed that way. The Council of Nicea settled nothing. Though that council decided in favor of the historical doctrine of the Church, doctrine means nothing if it's not accompanied by holy living produced by the Spirit of God himself. Arius didn't quit after Nicea. Eventually Constantine sent him back to Alexandria to be restored to the church there against their wishes. He began the trip, but died under suspicious circumstances during a step in Jerusalem. Eusebius of Nicomedia (not to be confused with Eusebius the historian), who had recanted of Arian doctrine after being banished at Nicea, went right back to championing the Arian position as soon as Constantine died. Eusebius was a relative of the emperor's family, and he was able to influence Constantine's son, Constantius. Constantius then favored Arianism, and he appointed Arian bishops and removed Nicene bishops throughout his life. Emperors after Constantius did the same, depending on which party they favored. The issue wasn't settled for decades. Often during the post-Nicene period there were competing churches in the same city, one with an Arian bishop and one with a Nicene bishop. The situation was very sad, and often violence ensued. A decree by Emperor Theodosius I in A.D. 383 did finally settle the issue. The end of the Arian Controversy is often attributed to the Council of Constantinople of 381, but that's not accurate (reference coming soon). More councils followed to address "the Christological Controversy." The Council of Ephesus in A.D. 431 addressed Nestorianism, the idea that in Christ there are two natures and two persons, one human and one divine. Twenty years later the Council of Chalcedon condemned monophysism, the teaching that Christ had only one nature, a divine one. Those are called ecumenical, but they led to permanent division during the post-Nicene period that has not been rectified to this day. A bishop named Nestorius was excommunicated at the Council of Ephesus and much of the church in Syria left the fellowship of catholic Churches at that time. Their descendants still exist and are known as the Church of the East and are often still called Nestorians. , though their bishop still attended the council of Chalcedon, and some middle Eastern bishops were excommunicated at Chalcedon. This was also the period of some of the most famous of the church fathers. Augustine and Jerome belong to this period, as do Basil the Great, John Chrysostom ("Golden Tongue") and two Gregories: Gregory of Nyssa and Gregory Nazianzen. That shift of emphasis from conduct to belief characterized post-Nicene Christianity. Ante-Nicene Christianity was quite the opposite. [Christ] was no sophist. Brief and concise utterances fell from his lips. (Justin Martyr, First Apology 14, c. A.D. 150). Those "brief and concise utterances" were commands that Christians were to live by, not fight over. These things were what mattered to the ante-Nicene churches, not creeds to argue over. Monasticism first arose during the post-Nicene period. As unconverted Roman citizens flocked into the Church, those who wanted to completely devote themselves to Christ found it easier to just get away. The first monks are often called "the desert fathers." St. Anthony is the first and most famous of them, living a secluded life in the wilderness in Egypt. Again, we'll go further into this when I can put up a page on St. Anthony and hopefully on an even earlier hermit whose history is "lost in the mist of fable," Paul of Thebes. The Post-Nicene period must be best remembered for the influx of society into the Church, the general councils and great theologians, and the rise of monasticism. I call the post-Nicene period the fall of the Church.The holiness, unity, love, and testimony to the world were gone. Yes, men like Augustine, who maintained a holy and humble life even as a powerful and respected bishop, and St. Anthony, whose life of self-denial made a powerful impact during those rare times when he was seen in public, had powerful and positive influence on the people around them. For the most part, however, the Church had degenerated into a national religion. The post-Nicene era, more than anything, was preparation for the Dark Ages. The true church—the gathered people of God, forming a new society in the midst of the corrupt society of the world—became extremely difficult to find.